Featuring the work of Ellen Rothenberg, Mark Booth, Stephen Lapthisophon, Heather Mekkelson, Christian Kuras and Duncan MacKenzie, Carrie Gundersdorf, Justin Cabrillos, and Rebecca Mir. Field Static examines the possibilities of objects as they engage with each other and thereby embody a network, or constellation of points. What begins to emerge is an ecology that blurs the lines between life forms and inanimate material bodies. In Field Static curators Caroline Picard and Devin King created an opportunity in which relations between objects might be highlighted such that the field created via the installation of artwork would accent one’s material engagement. Each object within the Co-Prosperity Sphere becomes focal point and periphery alike, suggesting both solitary histories and the peculiar synthesis of matter common to all things. Field Static rejects or, at least, torques art’s historically anthropocentric position — the poem is written by a human, the portrait is painted of a human — in favor of a more egalitarian engagement with objects. How are objects, human and non-human digested and reborn by the realization and decay of magnetisms? Part celebration, part lament for the passing of a moment, these artists have been invited to examine pan-psychic networks of affect and influence. Field Static will open with an accompanying catalogue featuring essays by João Florêncio, Lin Hixson, Robert Jackson, Lily Robert-Foley, Peter O’Leary, Devin King & Caroline Picard. Additional programming includes a public seminar, Location/Location on Wednesday the 6th of June from 6-9 pm, during which 5 panelists will give 10-15 minute presentations followed by a longform discussion. This symposium was organized and will be moderated by Lily Robert-Foley. Panelists include Laura Goldstein, Gene Tanta, T. Siddle, AD Jameson and Meredith Kooi. où se trouve [qqchose]. On the other hand, the french word location /lɔkasjɔ̃/, translated into English gives, renting, renting out, or rent (as in rent money), hire, reservation, or booking. We call this homonymic condition—of looking the same but sounding and meaning differently—a faux ami, or false friend. from the mistranslation of location/location: of location as renting, or as renting as location; of endroit as location, of location as endroit. To rent is the appropriation of something its user does not own, it’s the experience of a secondary usage, of a mistranslation of objects or space. Location has many meanings, but may be summarily delimited as a kind of meeting place: of subject and object, of objects and subjects with each other. It is the place where the metaphysics of self and other rub together like thumb and index in the analogon for tender. This seminar is to be held at the Co-Prosperity Sphere in the context of a show curated by Caroline Picard and Devin King, Field Static, which reflects upon objects in space, and the way they relate to each other. In this sense it likewise seeks to turn away from a self centered discourse of the subject towards a reflection on objects themselves. Proposals for articipation must therefore maintain a connection to a reflection on the interrelatedness of objects. What is an object, and how does it mean? What use or contextualization of an object be seen as a kind of translation? At what point does an immaterial phenomenon become object? Is there such a thing as object performance? Do objects have consciousness (à la C.S. Peirce)? MARK BOOTH is an interdisciplinary artist, sound artist, and writer. He received a BFA from the Rhode Island School of Design and an MFA from the School of the Art Institute of Chicago. Exhibitions and projects include The Sea is Represented by an Irregular Shape at Devening Projects and Editions Chicago, God is Represented by the Sea, Adds Donna Gallery Chicago, Nothing to do with wizards, O’Connor Gallery, Domincan University, River Forest, IL.,pierecednightstarvoice at Schalter Gallery, Berlin, Germany, The Stinging Tentacles Of Anxiety That Constrict The Heart Are Healed By The Light Of An Inner Sun, Gahlberg Gallery, College of DuPage, Glen Ellyn, IL., Spanish Still Life (or a large list of merged animals), Hyde Park Art Center, Chicago, IL., Endless (Perverted by Language/Delay 1968), UBS 12×12, Museum of Contemporary Art Chicago, IL.. Collaborative projects include the exhibition (6) The Speed of the Word Sound/The Sound of the Word Speed, at Light Projects, Northcote, Victoria, Australia, with Micheal Graeve, the performance Quiet (A disruptive fog (or a hogshead full of vapor called memory) in Chicago, Illinois with Karen Christopher and John Sisson, and BERGBASTARDS with Volker Saul. He has performed and exhibited in the United States, Scandinavia, Australia, and Germany. Booth is an assistant professor at the School of the Art Institute of Chicago. JUSTIN CABRILLOS is a choreographer, writer, and performance artist based in Chicago. Cabrillos received his MFA in writing from the School of the Art Institute of Chicago. He was a summer fellow at Ox-Bow School of Art, an IN>TIME Incubation Series artist-in-residence at the Chicago Cultural Center, and a 2011 LinkUP Artist at Links Hall. He was a recipient of a Greenhouse grant from the Chicago Dancemaker’s Forum and has collaborated with Every house has a door. CARRIE GUNDERSDORF Carrie Gundersdorf is a Chicago based artist. Solo exhibitions include the Museum of Contemporary Art (Chicago), Julius Caesar (Chicago), Shane Campbell Gallery (Chicago), and Gahlberg Gallery, College of Dupage, (Glen Ellyn, IL). She has also exhibited in group shows at Loyola Museum of Art (Chicago), Regina Rex (Brooklyn), Marc Foxx Gallery (Los Angeles), Proof Gallery (Boston), Gallery 400, University of Illinois (Chicago), Tony Wight Gallery (Chicago) and SWINGR (Vienna), among others. Her work has been discussed in Art Review, Chicago Tribune, Artforum.com, Artnet, Bad at Sports, Art on Paper, and Time Out Chicago. Gundersdorf is the recipient of the Artadia Award and the Bingham Fellowship. CHRISTIAN KURAS lives in the post-rural English countryside. His art practice involves painting, sculpture, writing and photography. He usually works in collaboration with other artists, which he finds is the perfect platform for the exploration of the confusions and conflicts inherent to individual personhood and its relationship to all forms of social entanglement. His work has been shown and published across Canada, the United States and Europe. He splits his time between his art practice and co-directing a successful design agency called Exploded View. He has been collaborating with Duncan MacKenzie since 2003. STEPHEN LAPTHISOPHON is an American artist and educator working in the field of conceptual art, critical theory, and disability studies. Lapthisophon received his MFA from the School of the Art Institute of Chicago in 1979. His early work combined poetry, performance, sound art, and visual arts with postmodern philosophical concerns. He was also influenced by the legacy of the Situationists, who sought to make everyday life a focus of artistic activity. Lapthisophon has taught at Columbia College in Chicago, the School of the Art Institute, and the University of Texas at Dallas. He currently teaches art and art history at The University of Texas at Arlington. DUNCAN MACKENZIE is an Artist, Pundit, Educator and a Founding Member/Producer of Bad at Sports. (badatsports.com) His works have appeared in galleries all over the world including Canada, Australia, The United States of America, New Zealand, Estonia and England. His work has been discussed in Flash Art, Art Forum, the New York Times, Time Out and many other venues. He is the author of over 250 interviews and has worked with such people as Rodney Graham, Kerry James Marshall, Francesco Bonami, Luc Tuymans, James Elkins, Julie Ault, Carol Becker, James Rondeau, Jeff Wall, and Gavin Turk. He currently enjoys a posting as an Assistant Professor in Art + Design at Columbia College Chicago. HEATHER MEKKELSON lives in Chicago where she earned degrees from the University of Illinois at Chicago and The School of The Art Institute of Chicago. Her work has been seen in solo shows at threewalls (Chicago), Old Gold (Chicago), and STANDARD (Chicago) as well as in group shows at The Museum of Contemporary Photography (Chicago), The Figge Art Museum (Davenport, IA), Raid Projects (L.A.), and Vox Populi (Philadelphia, PA). She has had her work featured in Art Journal and Broadsheet (The Contemporary Art Center of South Australia) and in the essay collection The Migrant’s Time: Rethinking Art History and Diaspora published by Yale University Press and the Clark Institute. REBECCA MIR is a Chicago based artist, by way of Alaska and Maine. When she was too little to walk, she was pulled around on a sled by a German shepherd called Namer. Her work is primarily concerned with the perplexing character of interactions with nature. Mir received her MFA from the University of Illinois at Chicago and has exhibited around the country. Issue #3 of her zine SHE IS RESTLESS, focused on earthly phenomenon, was just released at Chicago Zine Fest 2012. Look for more of her work at rebeccamir.com. ELLEN ROTHENBERG’S work is concerned with the politics of everyday life and the formation of communities through collaborative practices. 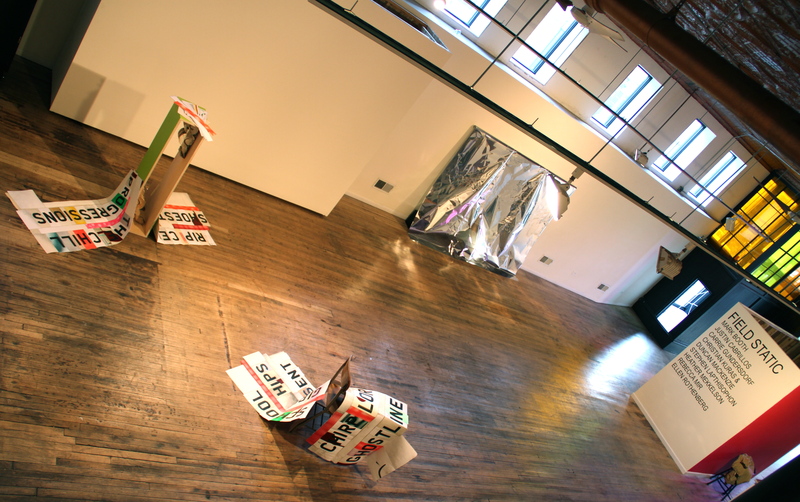 Her installations and public projects often employ the iconography of social movements and their residual documents to interrogate contemporary political engagement and social dialogue. In her projects, we find familiar materials such as newspapers, protest placards, and public signage… often reformed, refashioned, and rewritten; drawing our attention to the assumptions that animate the world around us. Her work has been presented in the US and Europe at the Museum of Contemporary Art, Chicago; the National Museum of Contemporary Art, Bucharest; the Royal Festival Hall, London; the Institute of Contemporary Art and Museum of Fine Arts, Boston; the Portland Museum of Art, Maine; the Contemporary Jewish Museum, San Francisco; and the Neues Museum Weserburg, Bremen. 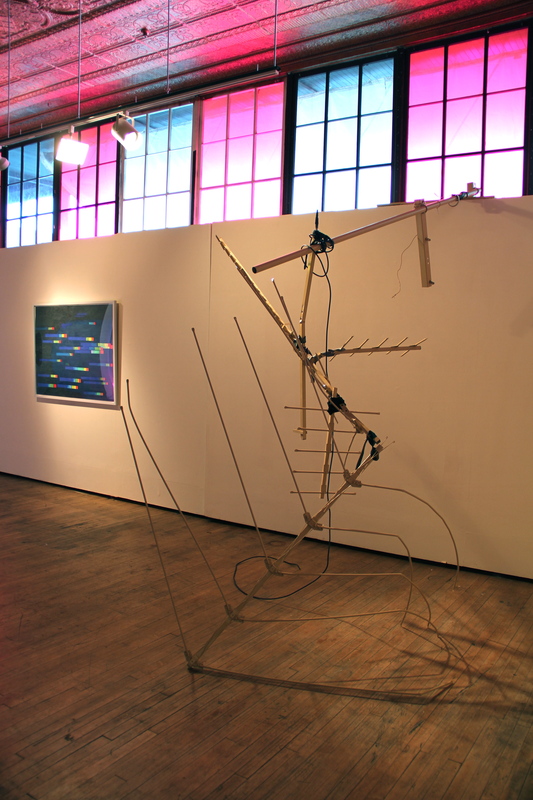 Recent exhibitions include Experimental Geography, curated by Nato Thompson and ICI, NYC. Rothenberg is currently engaged in a cultural exchange project with the Brukenthal National Museum and the Astra National Museum Complex, Sibiu, Romania. Rothenberg continues to work as a co-organizer of the Chicago Torture Justice Memorial Project. JOÃO FLORÊNCIO is a Portuguese scholar based in London and researching on Contemporary European Philosophy and Performance Studies. His academic background is Musicology with optional courses in Film Studies (B.A., Lisbon and Venice), and Media Arts Philosophy (M.A., Greenwich). He is also an associated researcher of ‘Performance Matters’ (www.thisisperformancematters.co.uk) and a Visiting Tutor in Visual Cultures at Goldsmiths, University of London, where he leads the “Modernities” seminar and laboratory series, both part of the BA History of Art. LILY ROBERT-FOLEY was born in San Francisco in 1984. She writes poetic-criticism (sometimes bilingual), does language collage, (The North Georgia Gazette, Green Lantern Press, 2009; “m” forthcoming from Corrupt Press, 2012), visual and sound poetry, and performance. She also invents reading and writing machines based on constraints (Graphemachines forthcoming from Atelier de l’Agneau, 2012). She is pursuing a doctorate in Comparative Literature at the University of Paris 8 where she is writing a thesis on self-translation. She currently teaches anglophone literature (also at Paris 8). LIN HIXSON co-founded Goat Island in 1987, and Every house has a door in 2008. She is full Professor of Performance at The School of the Art Institute of Chicago, and received an honorary doctorate from Dartington College in 2007. Goat Island created nine performance works and toured extensively in the US, England, Scotland, Wales, Belgium, Switzerland, Croatia, Germany, and Canada. Her writing on directing and performance has been published in the journals P-Form, TDR, Frakcija, Performance Research, Women and Performance, andWhitewalls; and included in the anthologies Small Acts of Repair – Performance, Ecology, and Goat Island, Live Art and Performance, Theatre in Crisis?, and the textbook Place and Placelessness in Performance. Hixson has directed two films, Daynightly They re-school you The Bears-Polka and It’s Aching Like Birds, in collaboration with the artist Lucy Cash and Goat Island. ROBERT JACKSON is an MPhil/PhD student at the University of Plymouth, an artist and a software developer in the UK. Entitled “Algorithm, Contingency and the Non-Human: Undecidability in Computational Art,” his research incorporates Computational Algorithmic Artworks, Art Formalism and Speculative Realist Philosophy, identifying an occluded history of computer art which operates as configurable units of necessity rather than networked systems of contingency. Robert is also an associate editor of the independent philosophical journal Speculations. DEVIN KING is a writer, musician, and teacher working in Chicago. His work is primarily concerned with the interiority of the audience member and connects formal ideas from opera, modernism, minimalism, and pop music to theories of myth, the object, and the ghost. He received an MFA from The School of the Art Institute of Chicago and currently teaches in the Liberal Arts department. He curates performances, readings, lectures, and movies at The (New) Corpse. His long poem, CLOPS, is out from the Green Lantern Press where he is now an Associate Editor. A new chapbook, The Resonant Space, is out from Holon Press. His writing on music can be found at Make Magazine and The Boston Phoenix. He is part of the mighty Lady Rollins, a collaborative performance group with Jess Speer, Peter Speer, and Caroline Picard. PETER O’LEARY Vocations to poetry and religion have committed Peter O’Leary to the pursuit of what St. Bonaventure named an itinerarium mentis in deum, or the journey of the mind to God, with particular attention devoted to the mystagogical-initiatic and the mytho-poetical. Luminous Epinoia, published by the Cultural Society, is his most recent book. He lives in Berwyn, Illinois and teaches at the School of the Art Institute of Chicago and for the Committee on Creative Writing at the University of Chicago. CAROLINE PICARD is a Chicago-based artist, writer and curator. Integrating mediums of performance, text and visual ephemera as creative — and sometimes collaborative — platforms she investigates the figure in relation to systems of power. Her work has been exhibited around the United States, Asia and Romania and was discussed inPoets & Writers Magazine, Time Out Chicago, New City, Art21, Artforum.com, html giant and Punk Planet. In 2005, she founded the Green Lantern Press and has since released 22 slow-media titles ranging. She writes regularly for thebadatsports and Art21 blogs, as well as Art ltd. and Proximity Magazines. Her first collection of short stories, Psycho Dream Factory, was published in 2011 by Holon Press. New work is forthcoming with Seven Stories Press, Anobium, and The Coming Envelope (Bookthug). She also performs regularly in collaboration as Lady Rollins. LAURA GOLDSTEIN’s poetry and essays can be found in American Letters and Commentary, MAKE, jacket2, EAOGH, Requited, Little Red Leaves, and How2. Her chapbook Let Her came out from Dancing Girl Press in January 2012 and her newest chapbook, Inventory, will be released by Sona Books in June 2012. She currently co-curates the Red Rover reading series with Jennifer Karmin and teaches Writing and Literature at Loyola University. pop culture, and the novel Giant Slugs (Lawrence and Gibson, 2011), an absurdist retelling of the Epic of Gilgamesh. He has taught classes at the School of the Art Institute of Chicago, Lake Forest College, DePaul University, Facets Multimedia, and StoryStudio Chicago. He is also the nonfiction / reviews editor of the online journal Requited. He recently started the PhD program in Creative Writing at the University of Illinois at Chicago, and contributing to HTMLGIANT. MEREDITH KOOI is a doctoral student in the Graduate Institute of Liberal Arts and certificate student in Comparative Literature at Emory University where she organizes the salon series SENSORIUM for the Visual Scholarship Initiative. She received her MA in Visual and Critical Studies from the School of the Art Institute of Chicago and her BA in Environmental Studies from Denison University. She has been published in the DVD journalASPECT: The Chronicle of New Media Art and has a forthcoming essay in The Contemporary Visual Studies Readeredited by James Elkins (Routledge). Her visual and performance work has been shown in galleries and medical venues both nationally and internationally. Her dissertation work centers on the aesthetics of the autoimmune condition as a physiological phenomenon and structuring logic of selfhood, the social, and politics. She has a six-year-old mutt named Belle who was found wandering the Ohio countryside. Belle enjoys walking, chewing on bones, eating bananas, and generally being awesome. TESSA SIDDLE is a film/video maker, installation/performance artist, and founding curator of the MisALT Screening Series in San Francisco. She received an MFA from the School of the Art Institute of Chicago in 2010 and has since dedicated her work to questioning conventional models of gender and other binary social constructions such as Nature/Culture, Animal/Human, Autobiography/ Fiction, Physical/Mental, and Intellectual/Emotional. GENE TANTA was born in Timisoara, Romania and lived there until immigrated to the United States. Since then, he has lived in DeKalb, Iowa City, New York, Oaxaca City, Iasi, Milwaukee, and Chicago. He is a poet, visual artist, and translator of contemporary Romanian poetry. His first poetry book is called Unusual Woods (BlazeVOX, 2010). His second poetry book is called Pastoral Emergency. Tanta earned his MFA in Poetry from the Iowa’s Writers’ Workshop in 2000 and his PhD in English from the University of Wisconsin-Milwaukee in 2009 with literary specialization in twentieth-century American poetry and the European avant-garde. His poems, translations, and artwork work may be found in journals such as: EPOCH, Ploughshares, Circumference Magazine, Cream City Review, Exquisite Corpse, Watchword, Columbia Poetry Review, The Laurel Review, and Drunken Boat. Tanta has had two collaborative poems with Reginald Shepherd anthologized in Saints of Hysteria: A Half-Century of Collaborative American Poetry. Most recently, he has chaired a panel at the 2010 AWP titled, Immigrant Poetry: Aesthetics of Displacement. Currently, he is teaching creative writing while working on a collection of short prose.